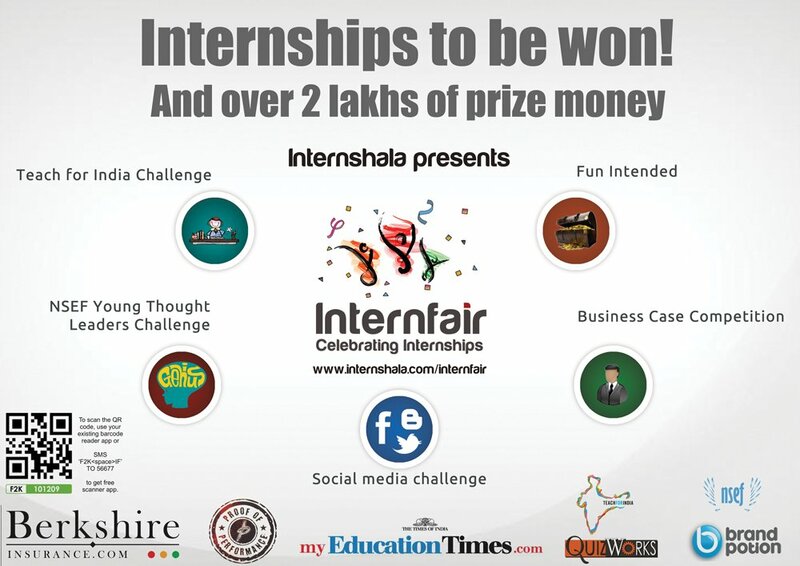 iKnowledge: Internshala Internfair 2012: The most exciting way to grab an Internship! Internshala Internfair 2012: The most exciting way to grab an Internship! 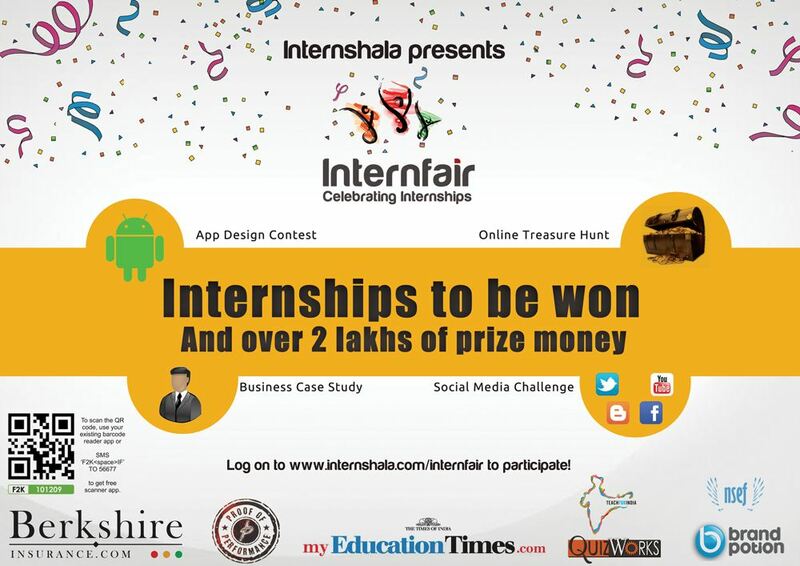 Internshala's nationwide Online Internship Festival, Internfair is finally here! 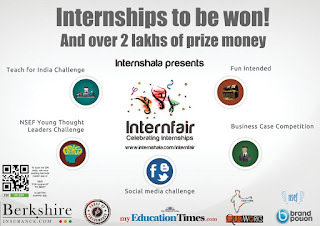 Comprising of 6 amazing online contests such as Social Media Challenge, Business Case Competition, App Design, NSEF Young Thought Leaders,Teach For India Challenge and Treasure Hunt apart from Daily Brain Teasers on Facebook, Internfair promises to attract the best of talent from the premier Engineering, Management, Arts, Law and Commerce colleges! Participate and stand a chance to win Internships with Berkshire Insurance.com, Proof of Performance Data Services, Teach For India, National Social Entrepreneurship Forum and QuizWorks as well as prize money worth 2,00,000 INR. REGISTRATIONS ARE OFFICIALLY OPEN! 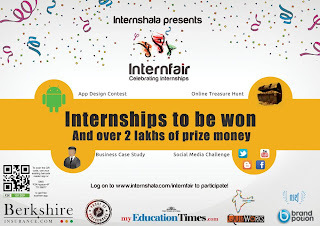 Visit www.internshala.com/internfair for more details. Please feel free to contact me at pallavi@internshala.com if you have any doubts.